After concerns on a supply glut that dragged the energy market into a bear market, gasoline prices are bouncing back, with a related exchange traded fund testing its short-term trend line, in response to new data that showed stockpiles are falling. The United States Gasoline Fund (NYSEArca: UGA) is higher for the fifth consecutive day, rising 1.3% on Wednesday, with RBOB gasoline futures up 1.3% to $1.44 per gallon. UGA is also testing its resistance at the short-term, 50-day simple moving average. Meanwhile, the United States Oil Fund (NYSEArca: USO), which tracks West Texas Intermediate crude oil futures, dipped 0.3% and the United States Brent Oil Fund (NYSEArca: BNO), which tracks Brent crude oil futures, rose 0.6% on Wednesday while WTI crude oil futures were down 0.1% to $46.5 per barrel and Brent crude was 0.7% higher to $49.6 per barrel. 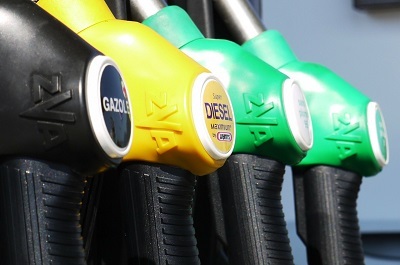 Supporting the continued rally in the fuel prices, the Energy Information Administration said gasoline stockpiles declined by 2.7 million barrels to 232.7 million barrels for the week ended August 12, compared to analysts’ expectations of an inventory dip by a smaller 1.7 million barrels, the Wall Street Journal reports. The data is helping the energy market rebound after oil fell below $40 per barrel into a bear market two weeks ago, partly due to fears of fuel stockpiles nearing record highs around the world.